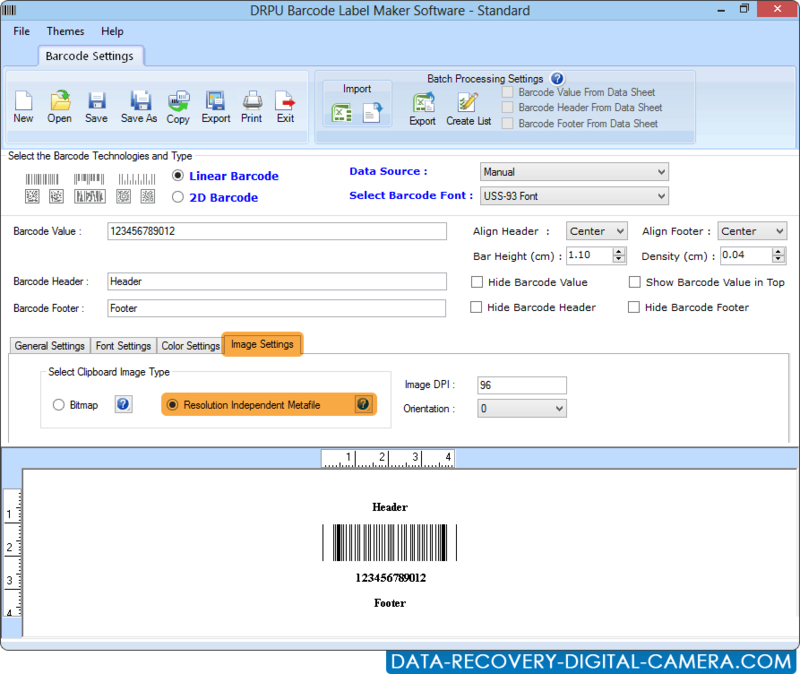 Choose Barcode Technologies and Type to create barcode. 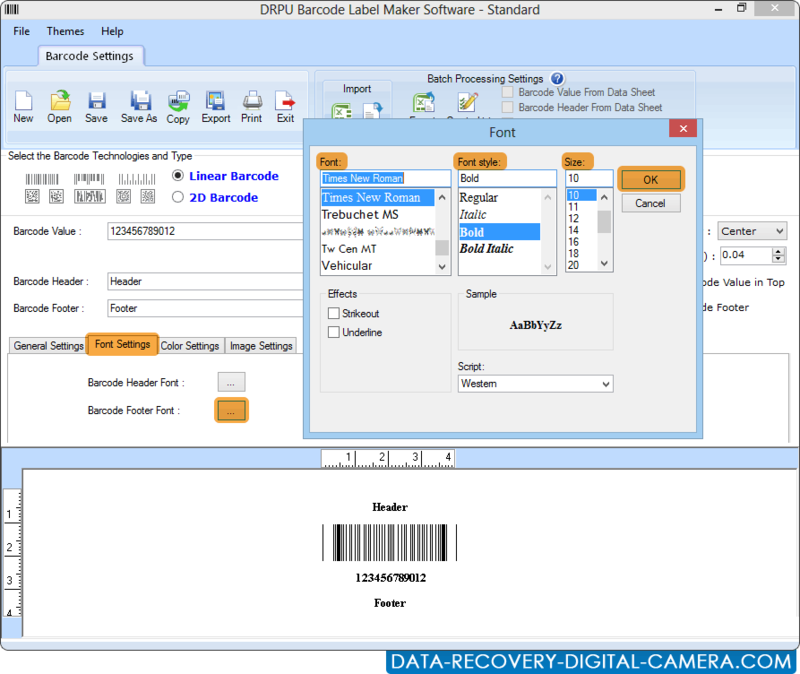 You can also change barcode header and footer font settings. Image settings to change image DPI and orientation. 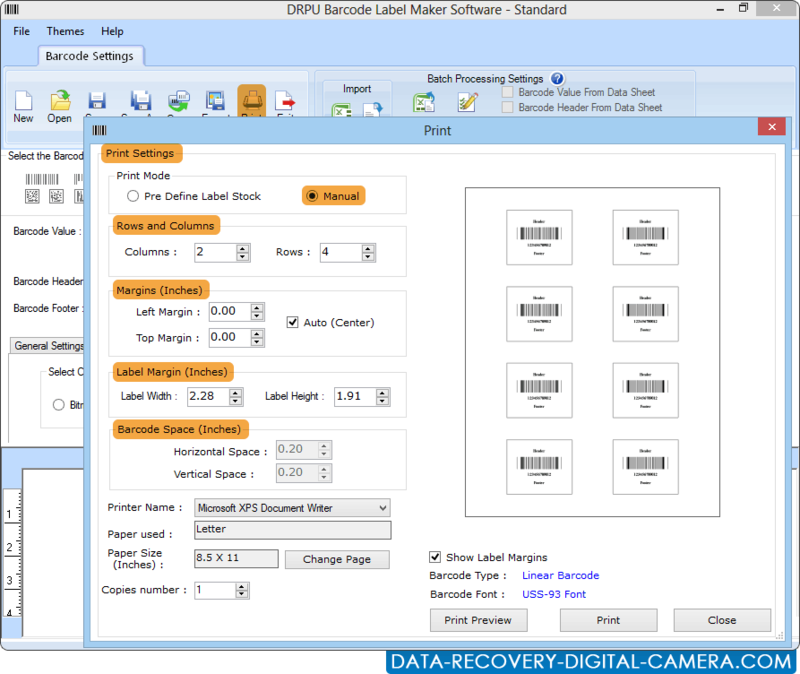 Software has option to print barcode images with pre define label stock or manual mode.